You guys are thinking too much.. It was a nice tribute to Col. Husband. Dunno how else to say this, but isn't naming this born to burn up on re-entry spacecraft after STS-107 Commander Rick Husband a little wrong? I've heard several other observers say the same thing. My thoughts exactly. This is why I think it is a bad idea to name spacecraft after people. Fortunately for ATV this worked out fine but I didn't like it being named after people either. 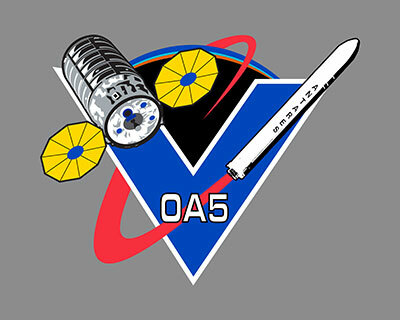 I'm guessing the name for Cygnus OA-5 will be "S.S. Neil Armstrong". "Orbital ATK’s Antares first stage with the new engines is rolled from NASA Wallops Flight Facility’s Horizontal Integration Facility to Virginia Space’s Mid-Atlantic Regional Spaceport Pad-0A on May 12, 2016 in preparation for the upcoming stage test in the next few weeks. The team will continue to work meticulously as they begin final integration and check outs on the pad and several readiness reviews prior to the test. The window for the stage test will be over multiple days to ensure technical and weather conditions are acceptable." The water tower lost a scar and gained a logo. So sad, that scar gave it some character! Orbital ATK’s Antares first stage with the new engines is rolled from NASA Wallops Flight Facility’s Horizontal Integration Facility to Virginia Space’s Mid-Atlantic Regional Spaceport Pad-0A on May 12, 2016, in preparation for the upcoming stage test in the next few weeks. The team will continue to work meticulously as they begin final integration and check outs on the pad and several readiness reviews prior to the test. The window for the stage test will be over multiple days to ensure technical and weather conditions are acceptable. Interesting road signs there in the photo! I understand that the ISS exit is through the Antares/Cygnus ferry, but to what bus service does the sign 'Moon ahead' lead? That sign points to Pad 0B and has been there since the LADEE launch. Someone is clearly confused... why were they trying to get to the Moon from MARS? Interesting that they did not post photos of the business end of Stage No. 6. Remember the LADEE launch on September 7, 2013? A Minotaur V rocket launched from Pad 0B that day, and it just so happens that the Minotaur V has trans-lunar injection capability. No, no, no. The arrow points to the spot in the sky you can see the Moon (on certain cloudless nights). Yes, but no images of the assembled boat tail. Remember too that this was not the OA-5 booster that was rolled out. I'm hoping we get an actual static fire date. Nothing yet. I will be in the area of Wallops Island and plan to go to the NASA visitor center tomorrow and also see if I can get eyes on anything on the pad. Is there anything I should look out for? Should I expect to see anything related to this launch? A big rocket on the pad. Photos would be cool!